With the help of Ms. Thomas, Fiona's schoolteacher, find magical artifacts that will stop the Shade for good. 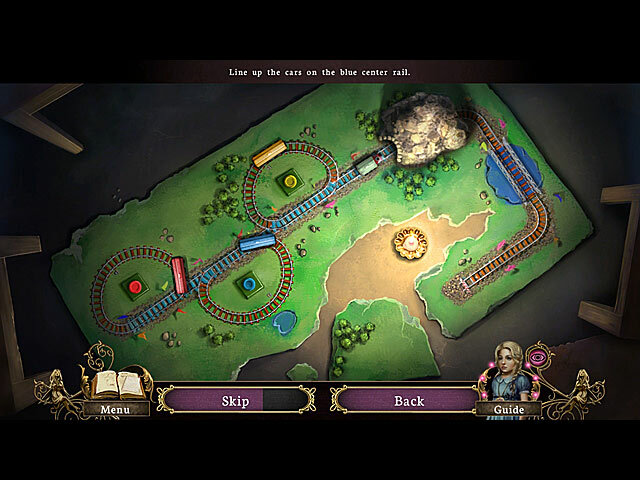 Solve tricky puzzles and explore fantastic landscapes. Choose your own path and decide which location to visit first. 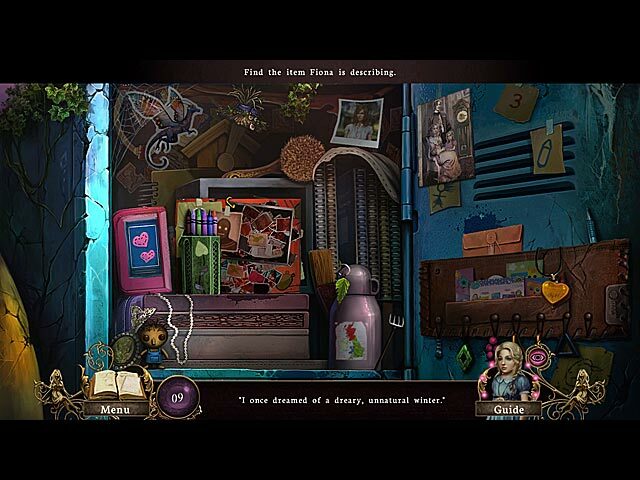 Test your wits in a battle between good and evil in Otherworld: Omens of Summer. WARNING: This game contains mature content which may not be suitable for all audiences. 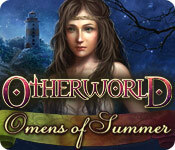 Otherworld: Omens of Summer is rated 4.1 out of 5 by 50. Rated 5 out of 5 by Missiongirl from Would give it a 6 if I could! I have just played this again after 3 years and loved it more this time round! It is extremely entertaining and different. Good amount of puzzles that are not so difficult they take forever but no so easy you breeze through them. The game took me 9 hours off and on so good value for money. Really looking forward to getting the next in the series now. Rated 5 out of 5 by smilingsun72 from Warning: Magnificent story in this series! I found the warning label should be applied more to Spring of Shadows, the first story of this series. I didn't find this game to have the creepy Shade popping out and encountering dead parents along my journey. The story picked up perfectly. The graphics were beautiful like Boom Zap games have. I enjoyed all the challenging games, even in casual mode. I recommend this game! Rated 5 out of 5 by tanyamichelle from Enchanting, I love it. This one is even better than the first one (spring). Fantastic graphics, captivating storyline. Long game to keep you enchanted. Great puzzles and tasks to keep you going through the game. Rated 5 out of 5 by skye1945 from Inspired to do a review This is the first game I have wanted to review in a long time. Having replayed the first in the series I trialled this and purchased before my time was over. Boom Zap is always reliable for a quality game. I am not a great gamer so I played the easiest version and found the hint useful, the recharge good and the skip not too slow (although I rarely needed to use it!). Although others found this game dark and gloomy I have to disagree and even the "nasties" are in their own way attractive. It is nice to have a change in puzzle types and they are mostly quite achievable - even though I must admit the direction one had my grey cells challenged. Rated 5 out of 5 by centauri272 from I loved all of it! This is a great game with a nice story! There are 3 game modes. The graphics are gorgeous! The HOS are clear. The mini-games are really astonishing, not the ones you usually get, and there are many of them! You have a journal with a task list. You have also an interactive map, so you can jump to a location. Active ones are highlighted. The dialogs are good, the atmosphere is great! There is really nothing negative I can find! Ok, it's not the longest game, for me about 3 hours, but there is so much to do and it never gets boring! Rated 5 out of 5 by Angelique1971 from Incredible! Incredible! I cannot say enough good things about this imaginative game. The story is fairy-tale-ish with a shady side and keeps you immersed, integrating well with gameplay. The graphics are stunning and characters are interesting. There are lots of puzzles and mini-games. The few interactive HOS are various types. Everything is crisp, clear, fun and easy. You are provided a jump map that also indicates active tasks. It's also a good length. I loved the first Otherworld and this one surpasses even that. My only regret is that I didn't purchase the CE. Unfortunately there were no fairies to collect this time in the SE. Not to mention the other perks the CE offers. Otherwise, this is an excellent game. Top of my favorites list. Rated 5 out of 5 by starri from Surprisingly good sequel! Otherworld sequel was just as good as I thought, or actually even better, and I really enjoyed playing it! It didn't have too many HOS, but lots of unique puzzles instead. Storyline was interesting enough to follow. It might not be the most challenging one, but the fairytale-like atmosphere and beautiful, well-designed graphics made it one of my favourites. I even liked the sound. If you appreciate the journey over the destination, this might be something for you. Review is based on complete SE. Rated 5 out of 5 by denniann2 from great sequel!!!!! you don't have to play the first one though to enjoy this one. i played casual, no sound. the hint/skip button charges fast. you are chasing feys just like the one before. it is just a good game. it set up for a sequel. i will be waiting. Rated 5 out of 5 by HeatherPost from Great value for your money! For a moment I went back to make sure I did not play the collector's game. L O N G game (in a good way) beautiful graphics and medium difficulty (played it with a tween). Enjoy! Dark magic threatens our world! Can you stop the Shade and his minions before it's too late?